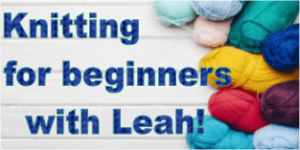 Learn to knit at the library with Leah! Students must provide own supplies or may purchase a kit from Leah for $10. Class is limited to 6 participants. Call the library to sign-up.